Herbalism is a logic and deduction game for 3-4 players. In Herbalism, a dangerous pandemic is spreading throughout the country. Players take on the role of a group of novice pharmacists, hoping to find the cure to the disease! Using various actions, players will exchange information to find out the precise combination of ingredients needed to cure the pandemic. 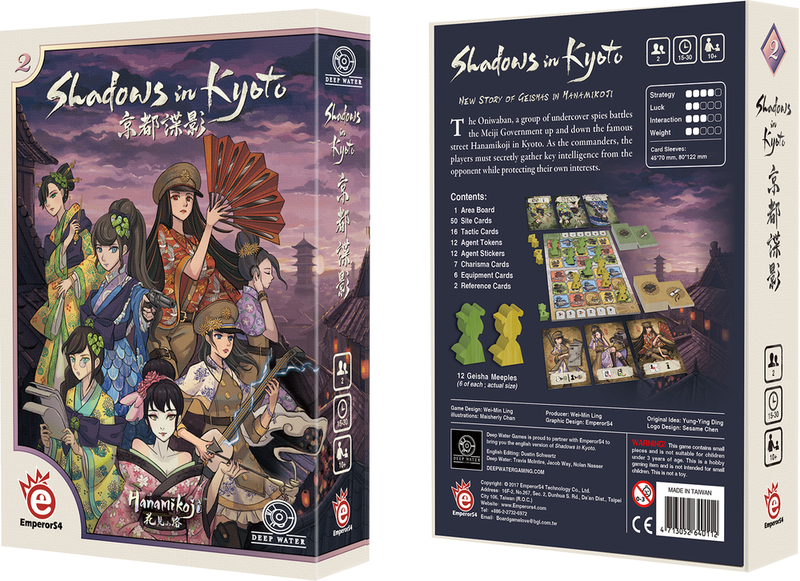 Shadows in Kyoto is a two-player abstract game set in the world of Hanamikoji. Players take control of the Oniwaban, a group of undercover spies, or an intelligence agency of the Meiji Government. Players must secretly gather key intelligence from the opponent through movements, conflicts, and tactics. Each game there are three vastly different paths to victory! This is a quick, yet deep game with various mechanics for tuning the gameplay and complexity. 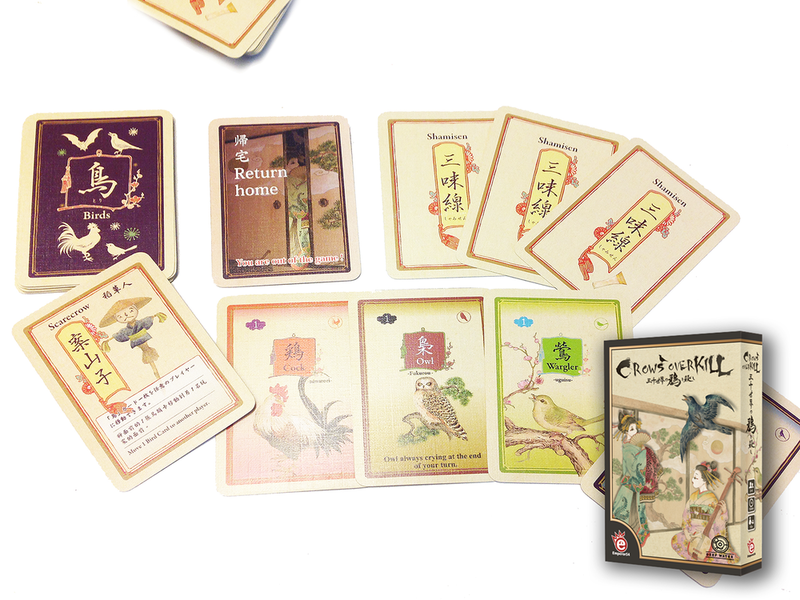 Hanzi is a memory matching game for 2-5 players. In Hànzì, players travel back 3600 years and serve as one of the pupils of Master Cang Jie. As you learn from the Master, you will create new written characters that serve as the foundation of modern Chinese culture. Not only is Hanzi a fun and engaging game, but it’s also valuable for learning Kanji!